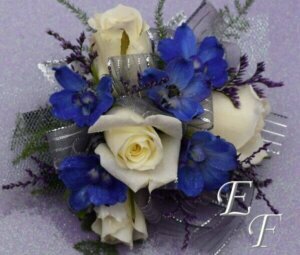 Our corsages and boutonnieres are custom designed to match your attire. 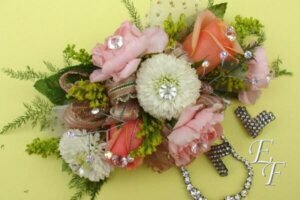 Our designs are sold in 3 separate categories — Basic, Deluxe, and Premium. 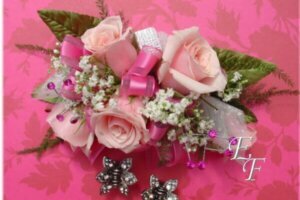 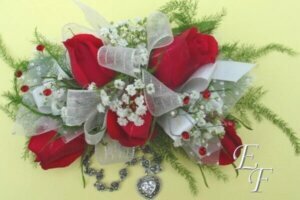 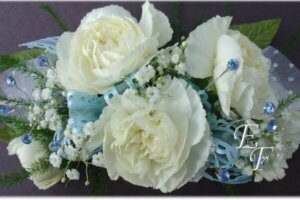 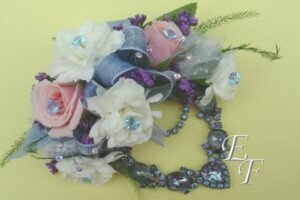 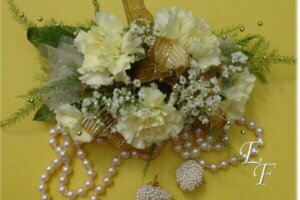 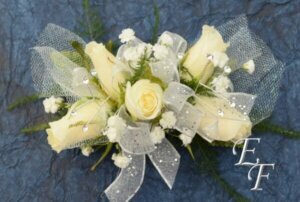 Our “Basic” designs are our most simplistic designs featuring the flowers and corsage ribbon of your choice. 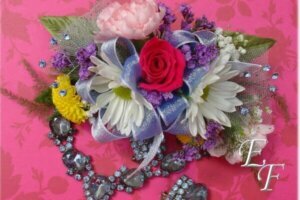 Our “Deluxe” designs add gemstone or bead sprays which are available in many colors. 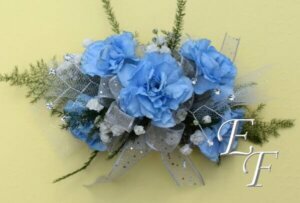 Finally, our “Premium” designs add gemstone or bead sprays and gemstone pins. 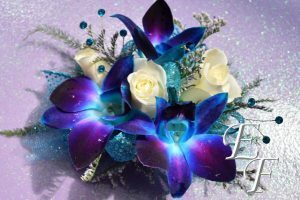 The gemstone pins come in many different colors and add a dazzling look to your design. 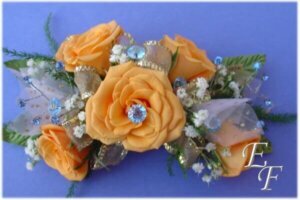 Unless specified, all corsages are wrist corsages. 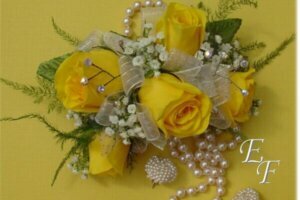 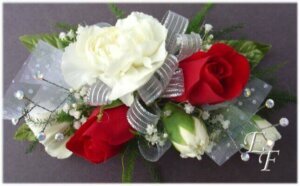 We do many corsages and boutonnieres for our local proms and homecoming dances. 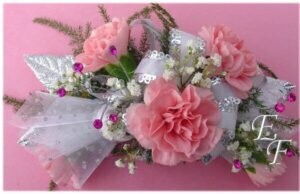 While we do keep a large inventory of flowers, please give us several days notice for your order. 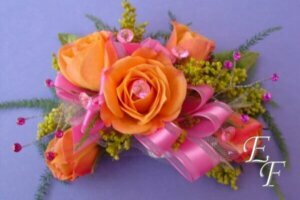 If you wait until the day of your dance, you may find flower choices limited; worse, you may find that we have stopped taking orders for your weekend!